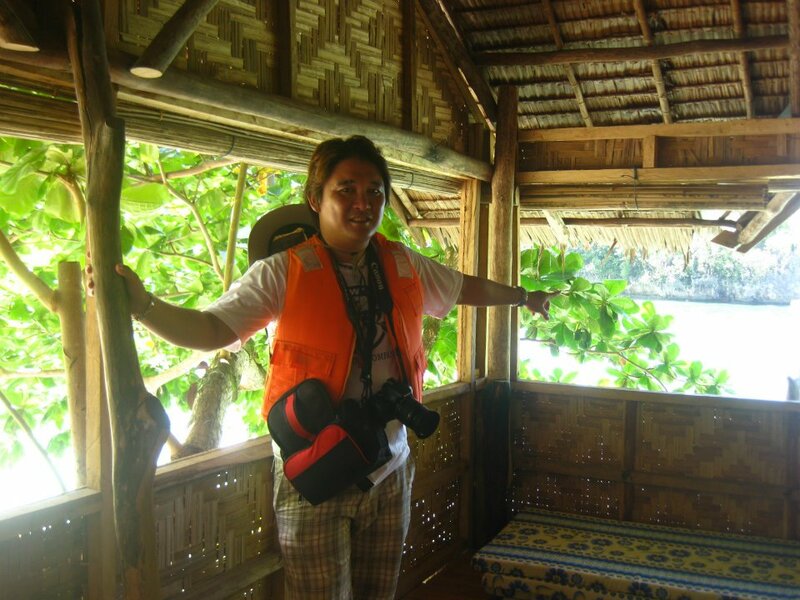 I just finished my tour in Siargao! 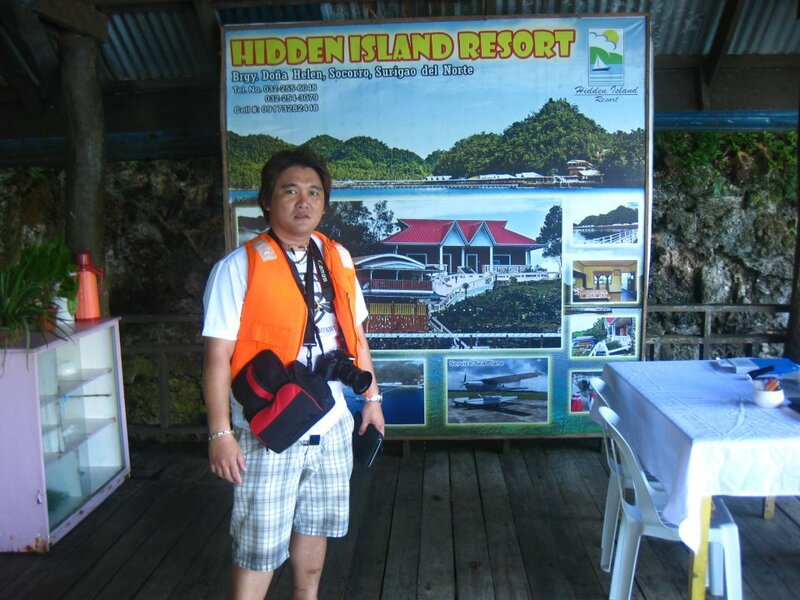 One of the best places to visit and stay in the Philippines. But there were islands that were needed to be explored. 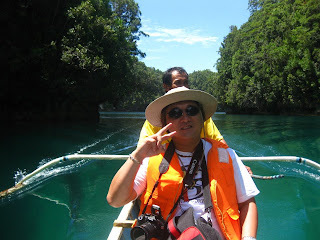 And so I chartered a boat that would take me to the islands of Siargao. The end of the island hopping adventure is the start of this blog - Bucas Grande Island. I paid P5,000 for the ride. Imagine, there were only three of us on that small boat. The boatman, his nine-year old son and I. 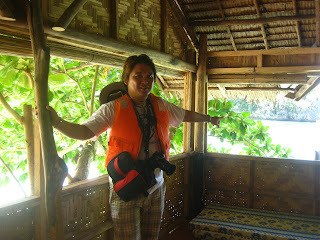 And we traveled from mainland Siargao to Bucas Grande Island. 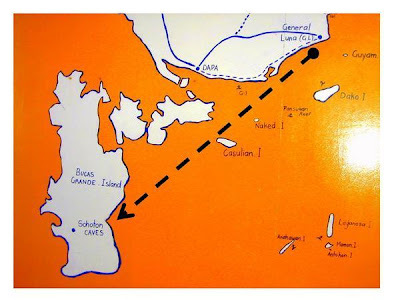 It was more than 2 hours away from Siargao Island. The small boat covered the long distance and withstood moderate waves. We reached first the Cinnamon Island Cottages. 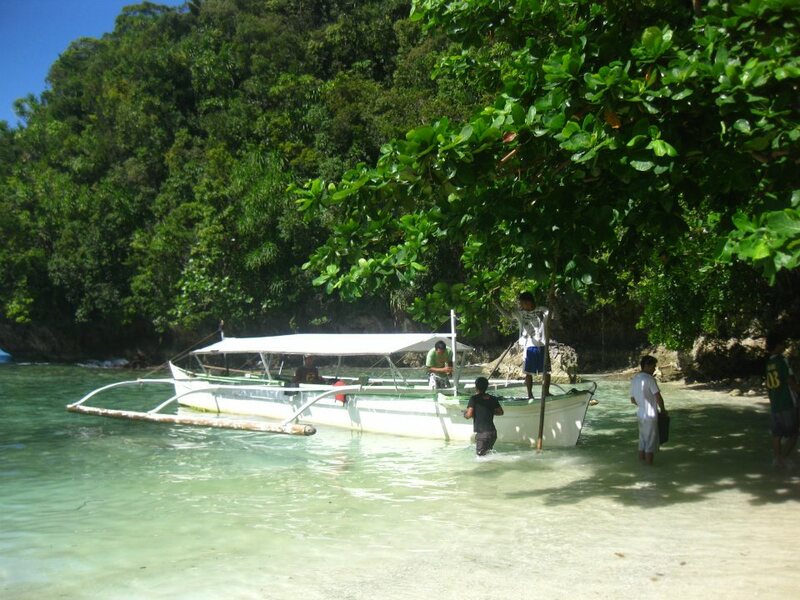 I was so hungry that day, I asked the boatman to stop so that we could partake our breakfast at the island. The owner was kind enough to allow us to eat even though we were not listed as guests that day. 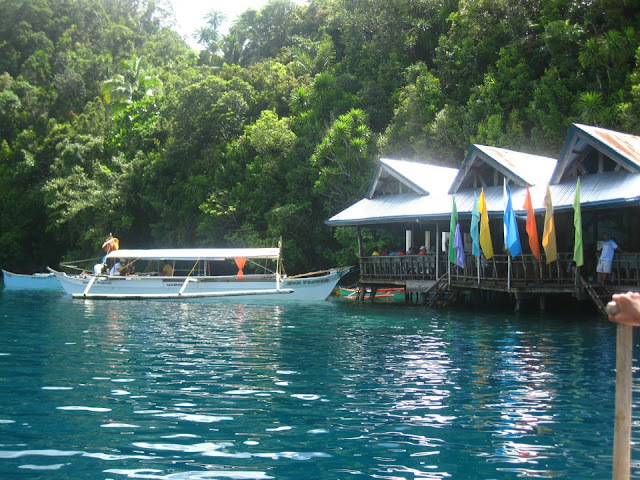 Thereafter, we proceeded to the Sohoton cove Visitor's Area. After a few minutes, we finally reached our destination for that day. 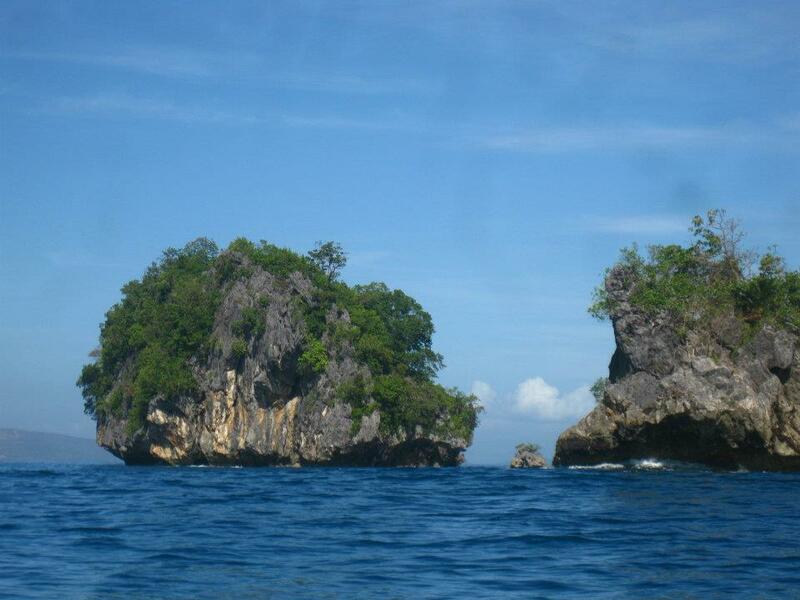 The turquoise waters that surround the many islets in this area were clearly fascinating. "Good thing I made this trip," I told myself. I really cannot recall how much I paid that day. But if I remember it right, I paid P1,500 - P1,800 for the boat and the guide. In just less than 15 minutes, we were off touring the cove. We were four in the boat. 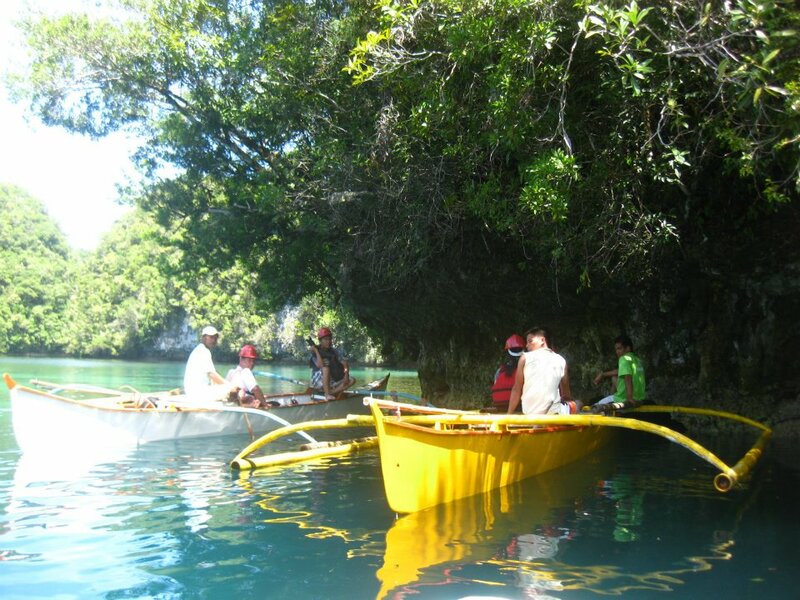 The guide, the two boatmen and I.
I had no plans of getting wet that day. Probably because I was already exhausted. I was on the 13th day of my tour in Mindanao which started in Cagayan de Oro. 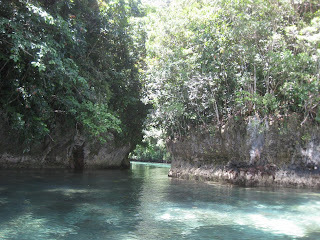 The first thing that we had to pass was the Sohoton Cove itself. It was a very low and narrow opening. I knew then why we were required to wear our protective helmet. After passing the narrow opening, we passed by the Horseshoe landmark. 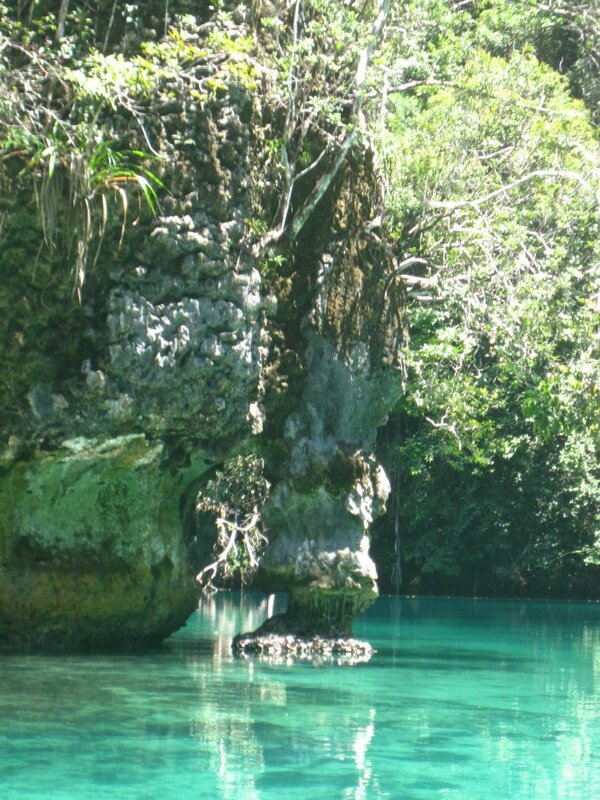 Sohoton cove's only landmark. There were plenty of tourists that day. Unfortunately, it was high tide that day and I was not able to go inside the Crystal Cave. No swimming for me that day! Among the places you can explore inside are the Bolitas Cave, Crystal Cave, Hagukan Cave, and the Magkukuob Cave. This is the spot where tourists jump-off the cliff and plunge directly into the water . 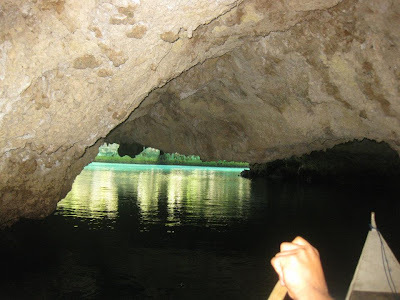 One of the may adventures one can experience exploring Sohoton Cove. 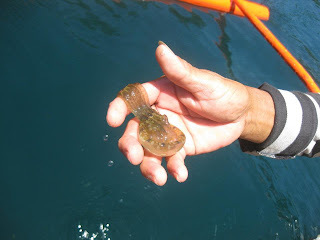 I was told that part of the package that I paid was I can still do some boating to the other side of the Cove and see the multitude of jellyfish which are non-stinging. 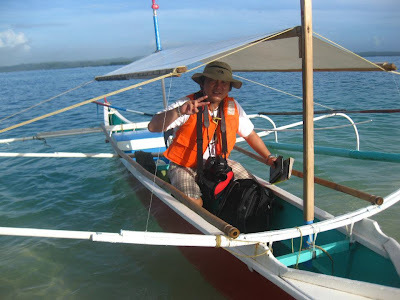 By then, I was onboard a smaller boat and we, the boatman and I, were paddling! 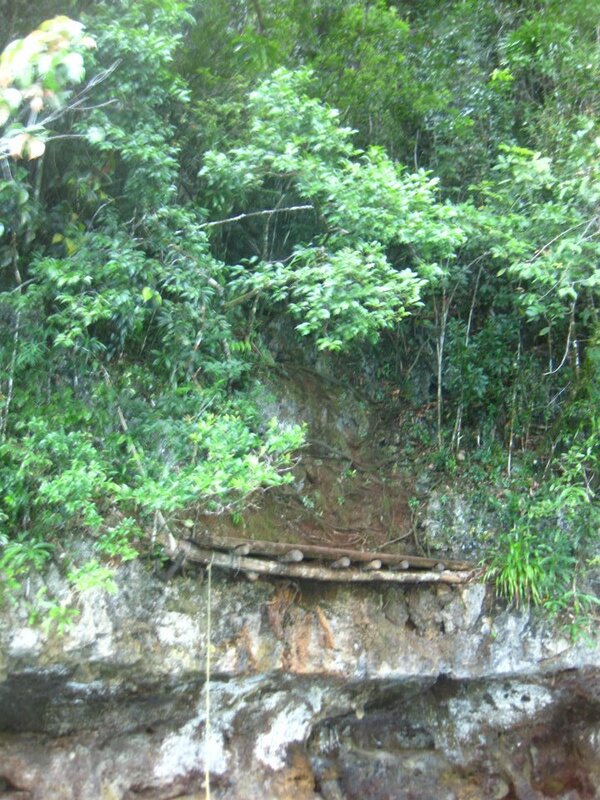 We arrived at the specific site. But there were only a handful of jellyfish that day. It was already past 2 pm and I decided to call it a day. 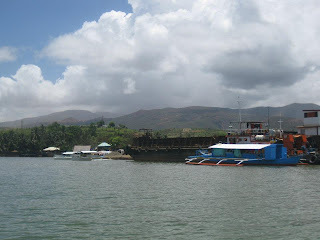 We headed to our last destination that day, Surigao City! person's attention? I mean "Sohoton Cove, Bucas Grande Island" is a little vanilla. You could look at Yahoo's front page and watch how they create article titles to grab people interested. You might add a related video or a picture or two to grab people interested about everything've got to say. Just my opinion, it would bring your website a little bit more interesting.